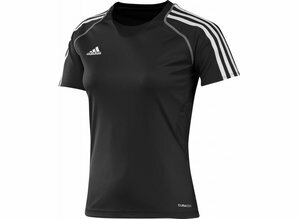 The adidas Climacool Technical t-shirt is designed for ladies who seek ultimate comfort while playing, but do not want to compromise on a stylish look. 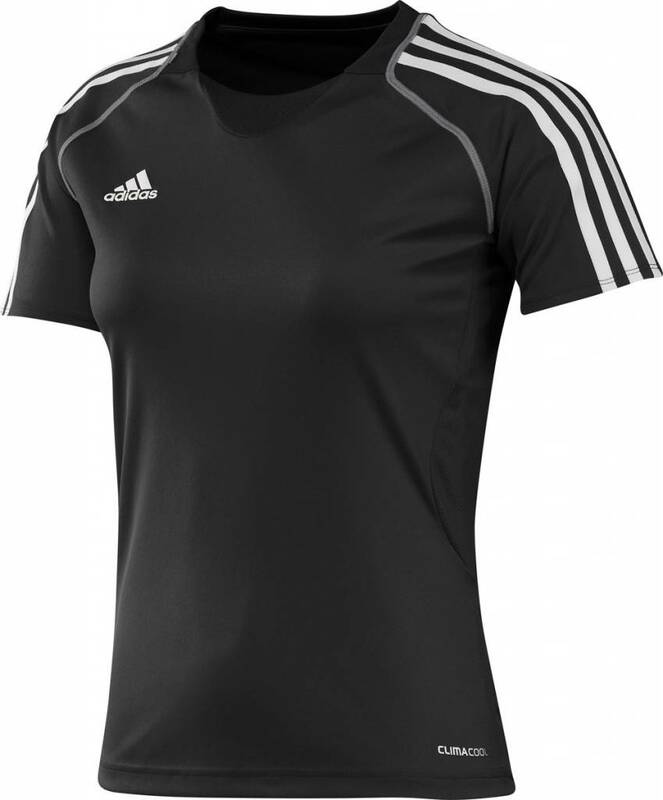 This black t-shirt has a slim fit design with a white neck area and a blaze pink adidas logo and stripes. It features the Climacool® technology that is designed to control the body temperature and provide excellent comfort and breathability. The Climacool® helps you stay cool and fresh even during a very intensive game as it retracts heat and sweat away from your body. In addition, it targets all key heat zones of the female body due to strategically placed ventilation areas.